The remarkable transition toward cannabis freedom is a truly great moment in U.S. history. As more lawmakers on Capitol Hill join the fight to defeat federal prohibition, more states are recognizing the benefits of cannabis decriminalization, but there remains wide disparity. When medical cannabis is outlawed in one state and legal in neighboring states, law-abiding parents must become criminals to heal their children after all other options have failed. The Free Thought Project interviewed Sarah Ellett, who literally had to flee her home state of Utah to save her daughter’s life without fear of state oppression. Now safe in the state of Oregon, 4-year-old Remie is eating and drinking on her own, walking, speaking and playing. Remie suffers from multiple debilitating conditions and was not expected to live. She spent the first five months of her life in the neonatal intensive care unit and then continual emergency trips back to the hospital. But medical cannabis allowed her to beat the odds – and thrive. Not only is she growing now, but she has been able to stop taking some pharmaceutical medications that caused further debilitating effects. Remie’s story shows that cannabis works for other conditions besides seizures, including the miraculous ability to jump-start the pituitary gland into making growth hormones necessary for life. Before cannabis, Remie was immobilized. 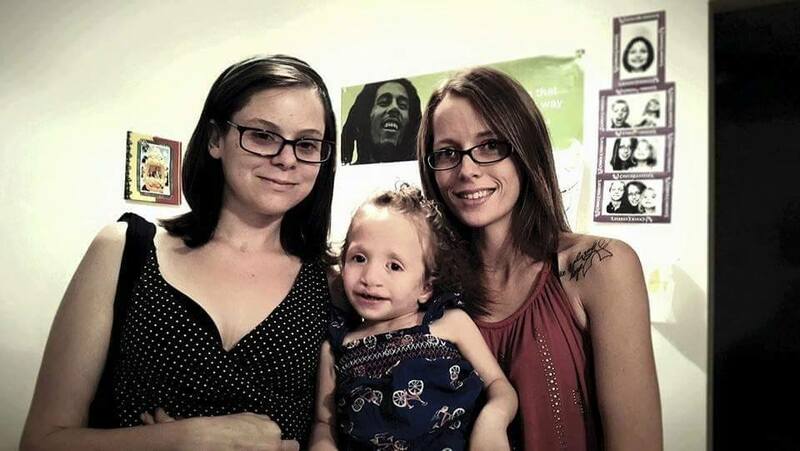 Sarah has experienced her own transformation, from being completely against cannabis to embracing the plant and its ability to heal her daughter. Along the way, she has won over several staunchly conservative Mormon friends in Utah, and spoken with lawmakers who may turn out to be allies in the fight for medical cannabis freedom. 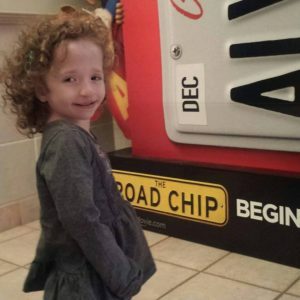 Sarah began considering medical cannabis in 2015 to treat Remie after reading the story of SuperNova, who was experiencing miraculous improvements after her parents moved to Colorado and started giving her cannabis oil. We had the privilege of telling Nova’s story in Dec. 2016 after interviewing her mother. Sarah’s son, a war veteran with post-traumatic stress disorder (PTSD), also helped her open up to the possibility of using medical cannabis. After getting no help from the Veterans Administration, her son successfully treated himself and is now able to cope with PTSD. At this time, Remie was not improving, despite several regimens of pharmaceutical medications. Like Nova, Remie suffers from panhypopituitarism, where the pituitary gland is inactive and does not produce the hormones necessary for life. Remie suffers from other conditions affecting the muscles, kidneys and lungs. Utah passed a law in 2014 legalizing high-CBD extracts, but Remie didn’t qualify under the law, which also required extremely low THC levels. In 2015, while still in Utah, Sarah obtained a month’s supply of whole-plant cannabis oil from a cancer patient. She started giving Remie very low doses. Within two to three days, Sarah began to notice improvements. Remie used to wake up every day vomiting due to bronchial spasms; this was the first illness cannabis oil was able to control, where pharma meds – which made her sleepy and grumpy – failed. Within a week Sarah was able to take Remie swimming, helping her to deal with stress which in turns helps prevent emergency epidoses. After two weeks on cannabis oil, Remie took her first step. Within three to four weeks, at the age of three, she began walking. Sarah never dreamed Remie could improve so dramatically. Remie walking for the first time. As the month’s supply began to run out, Sarah knew she had to take drastic measures to keep Remie on a positive path. She drove to Colorado but couldn’t access medical cannabis without a state MMJ card. So she bought some bubble hash, which is a clean, purified concentrate, and brought it home to make her own tincture. Of course, this was illegal by federal and Utah law, but legality does not equal morality. Loving mothers will not let unjust laws stand in the way of saving their children. The one-year statute of limitations has passed, and Sarah now feels free to talk about her brave journey. After being denied medical products in Colorado, Sarah went to Oregon, which at the time allowed non-residents to obtain a medical cannabis card. She brought Remie’s medical records and visited a doctor specializing in medical cannabis treatment. “I was taken aback at the kindness I witnessed at this clinic,” said Sarah. Here she began a treatment regimen of cannabis oil comprised of cannabidiol (CBD) and tetrahydrocannabinol (THC), at a ratio of 7mg CBD/0.5mg THC and a dosage schedule of three times per day. As wonderful as it was to watch her daughter grow, Sarah was compelled to go further. She began talking to local representatives about decriminalizing medical cannabis, telling them Remie’s amazing story. Sarah joined other patients to push for support of whole-plant medical cannabis. State Sen. Mark Madsen proposed a bill which would have legalized production, distribution, manufacture and possession within Utah, and expand qualifying conditions. Despite overwhelming public support, the bill failed by one vote. Sarah and Remie got the attention of Thom Hartmann, who interviewed Sarah in January 2016 on his TV show. “Would you break the law to save your child even though it could mean losing her, or would you fight the powers that be because you know you’re right?” asked Hartmann during the introduction. 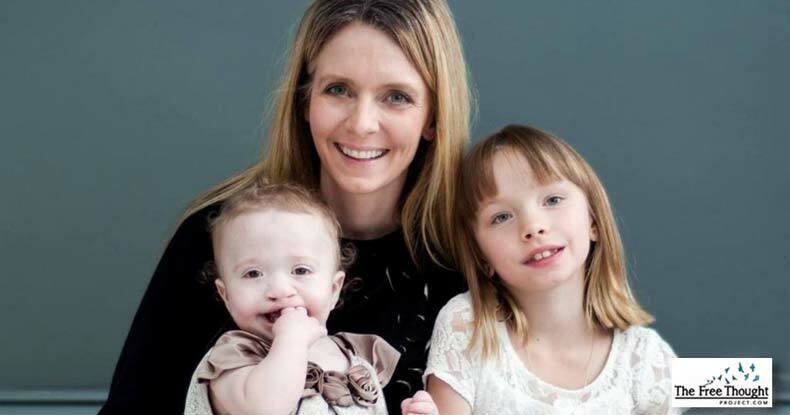 Sarah knew if Utah didn’t pass a comprehensive medical cannabis law, she would have to consider moving to Oregon with Remie and her three other children. 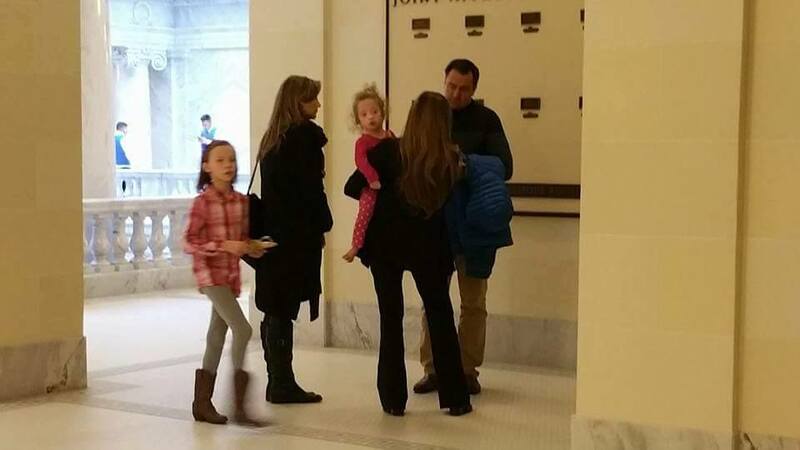 It’s a good thing she began planning, because soon after the Thom Hartmann show – where Sarah gave Remie cannabis oil on live TV – the state of Utah planned to take Remie away. The Utah Division of Child Family Services showed up at her door one day with a regional supervisor, armed with reams of paper including her Facebook posts. “After [the Thom Hartmann show] the Utah Division of Child Family Services appeared at my door on Jan. 25, and with papers in hand they tried to question me, but I asked them to leave with my lawyer listening on the phone. I then picked up the baby, left the milk on the table, checked the kids from school and left Utah while officers from all over the country were in full parade for 30 miles on the freeway to pay honor to a slain officer. In a way it was quite a dramatic and scary exit from Utah but I didn’t stop and we made it here. I grabbed a box and threw in essentials such as meds and equipment and the kids’ clothes. I had to keep the car looking pretty cool and not as if we were leaving the state. The state car was parked outside my 11-year-old’s school and I checked her out before anyone could talk to her, telling the secretary we had a doctor appointment. A state car followed her to the freeway, but did not pursue. Sarah believes they were going to get a warrant to take Remie away. After a two-night stay in Salt Lake City to gather their thoughts and make sure they were doing the right thing, Sarah called relatives to let them know they were safe, and headed to Portland, Oregon. They now live near Eugene. Picture of Remie with cannabis oil donors in Portland, one month after beginning treatment. Remie’s cannabis oil is donated to her and other sick children through the noble efforts of The Forrest Initiative. They are instrumental in keeping Oregon’s medical cannabis program going, at a time when medical dispensaries are under threat by the state’s misapplication of new recreational use laws. We contacted Tanesha Smelser, executive director of the Forrest Initiative, to get her perspective on the state of medical cannabis there. “Oregon is in a funny place with its medical marijuana laws, it is not that medical patients are going to be taxed but rather growers and dispensaries are having to choose between being medical or recreational. No matter how much you love the medical side, no matter where your passion lies- choosing ‘medical only’ means you are dancing with the devil. My personal experience is that recreational sales make up 75% (or more) of the business in dispensaries. I’ve heard of shops going from $5k to $10k a day… down to $100. The other hurdle is Oregon has over 35,000 growers that were able to sell to every dispensary. Today, there are less than 1,000. Growers giving away medications are being forgotten. If we are forced to sell the product Remie is using to her so that Oregon gets its tax revenue, she could die. Parents in this program cannot afford OLCC prices. We as a community can save lives AND make money. With almost 70,000 OMMP cards in Oregon do we really want to divert the financial weight back to the healthcare system in the name of revenue? Without affordable access how many ER trips, hospital stays, pain management visits will fall back on the state? Recreational sales should help medical growers flourish, instead it is suffocating. Oregon is pushing desperate parents to the black market, turning parents into criminals. Do we really want to be the state that kills our medical program once we get a taste of the money to be made? I sure don’t. For now, Remie still gets the cannabis oil she needs to continue thriving. But uncertainty remains as recreational laws take hold and the state seeks to make the most of its new tax base. Sarah says “a whole bin of meds” is not needed anymore for Remie. She has been able to stop taking asthma and nausea medications, and no longer requires oxygen during the day and usually not at night. Growth hormone medications, including painful shots, have been reduced as Remie is now producing about half of her own growth hormones. “Her growth is a huge benefit from cannabis. She wasn’t growing, but well after one year of NO weight gain at all, she gained weight when using cannabis – about one pound per month and now she is in the 97th percentile for body-mass-index, even though she is still very short. As in Colorado, doctors cannot discuss medical cannabis or acknowledge its benefits, for fear of harassment by the U.S. Drug Enforcement Agency (DEA) and the possible loss of their medical license. Nevertheless, some doctors have confided that cannabis is helping Remie, especially with growth and to prevent muscle spasms which caused lung pain that brought deadly danger. Sarah Ellett has a front row seat to the challenging transformation going on with respect to medical cannabis access. Her story shows that parents will not let unjust prohibition laws and threats from government stand in the way of helping their suffering children. Please share this story so other parents may find inspiration, and please support The Forrest Initiative so they can continue helping sick children as medical dispensaries continue to face the threat of extinction.